Staying fit and active is important as we age, and the residents at Kendal-Crosslands Communities have amazing resources to help them on their journey. Suzanne Stevens is the Wellness Director for Kendal-Crosslands Communities. She has been at Kendal-Crosslands for over 9 years, and as soon as you meet her, you know why so many people love her. Suzanne is all about helping people achieve their goals, in every aspect of their lives. Before becoming Wellness director, Suzanne was involved in our Vitalize 360 Wellness program, so she understands that wellness is important to every aspect of life- how you feel and react to stress, your ability to participate in your favorite activities, interact with others and more. As we sat talking, a resident passed by and stopped to sing Suzanne’s praises, saying she could be both tough and caring at the same time. Suzanne helped this particular resident through rehab after surgery in the past, and is still helping her stay active and in shape now. “She knows what she’s doing!” the resident remarked as she continued down the hall. Many residents use the wellness center to help keep active on a continuous basis, knowing it’s an important part of staying healthy. 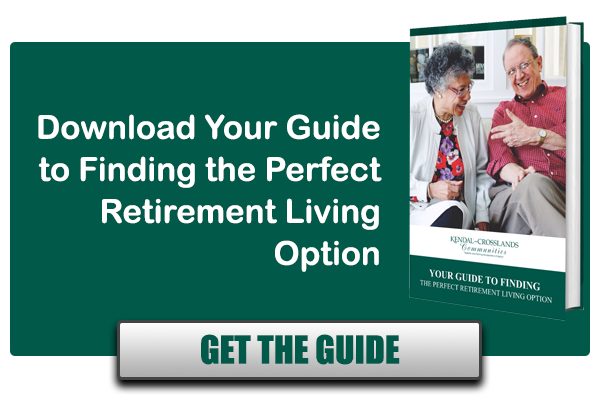 Sometimes, people have specific goals they want to meet, like a couple that was going to take a tour with a lot of hiking in the national parks, or another resident, Betty who wants to stay fit in order to ski at Jackson Hole every year with her family. The ability to customize a wellness plan to meet your current and future needs is important. Suzanne and the wellness center team also work with the physical therapists and physicians on staff to make sure people stay healthy, and also get back to their best shape after having an injury or setback. By working together, our staff helps every resident stay in the best shape possible. Best of all, residents have access to all of the fitness facilities and classes at both Kendal at Longwood and Crosslands. That means you have twice the choices available, and can find something that works with your schedule. 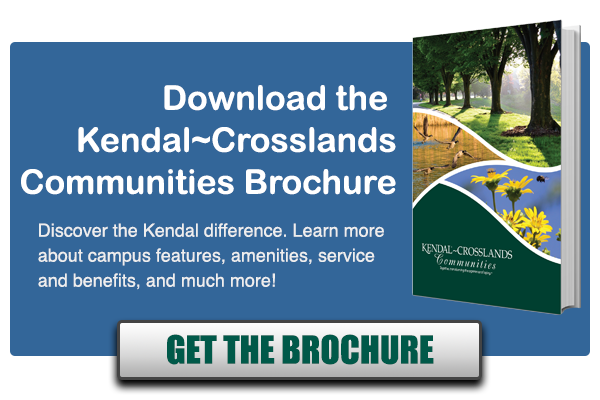 Many residents find that this means they also have opportunities to make more friends as well- something that’s always in abundant supply at Kendal-Crosslands Communities.